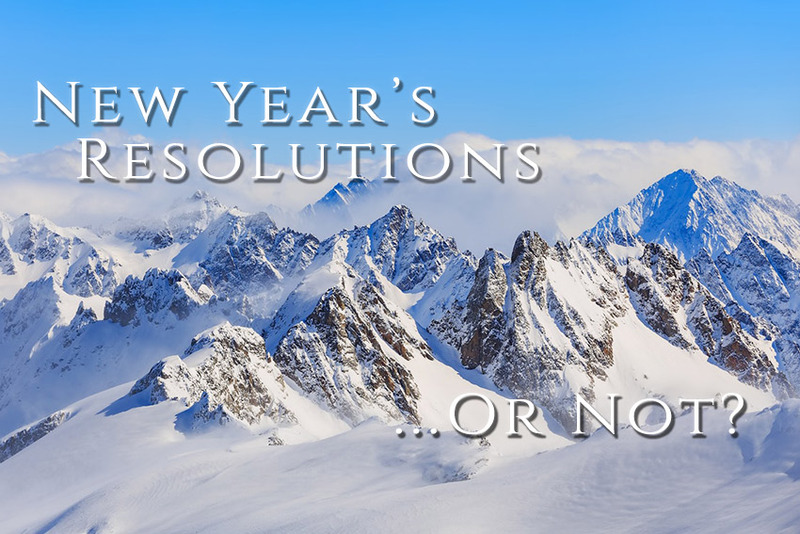 Do you feel pressured to come up with New Year’s resolutions? I kind of do. Don’t get me wrong, I am always looking to improve myself. And I dig doing challenges. To be honest, I don’t like tying my goals to New Years. Or maybe I just don’t like calling it a New Year’s resolution. They sound cheesy and seem like a bit of a joke at this point, don’t they? Everyone knows that gyms are packed for the first 3 weeks of January, but a week or two later most people are gone. Every year. At the same time, how can the beginning of another year not get you thinking about goals and improvements for the next 365 days? Regardless of what we call it, or even what day we start to make changes, I think it’s really important that we are always striving to improve. Fitness, health, education, social, spiritual, experiences, professional… all the things. Most of my goals for this year are kind of broad – improved fitness, website growth (big changes coming very soon), being more organized with my schedule, more travel, a healthier daily routine, improved sleep schedule, etc. Holley is staggering her health improvements, starting with sleep and diet improvements, then tacking on things like exercise, journaling, etc. in the weeks/months to come. I think this is a great idea and will probably do something similar. Making a conscious decision as to the changes and improvements that you really want to make and why is important. Being clear on what you want. And don’t “shoulda on yourself” (you know, I shoulda done this, I shoulda done that…). I think having an accountability partner is crucial to ensure that your good intentions don’t get buried by everyday business. That and I will be scheduling reminder alarms in my phone to start the next phase of changing habits. Check out the video below where we discuss our feelings about 2018 and looking forward to 2019. It’s not all feel-good. We were pretty open about frustrations as well as our optimism, recognizing that real work will be needed. Going easy on myself when I miss a day of a certain activity, not seeing this as a failure when it happens, and being able to continue them the next day. Did I miss anything? What’s on your list for the coming year? I was just thinking about you the other day. Happy New Year to you and your family. 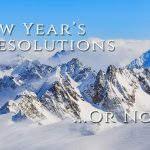 I think that your “resolution” is fabulous and that doing something fun for yourself every day is a very important practice! Hopefully, we’ll be able to help with that. Oh, and what color are your nails now?